For special offers and promotions "Like Us"
Here you'll find the latest news from our practice and fun facts about dental health - interesting tips and treatment information you can use to improve your smile. When you "Like" our page, you will also receive special promotions that are only available to our Facebook Fans. "Like Us" today and share our page with friends, family and coworkers! Read about your favorite celebrities and their secrets to beautiful smiles and good dental health! Hello! Take a few moments to meet our experienced dentists and our friendly, knowledgeable staff. Our team represents a wealth of training and experience to bring you your most beautiful, healthy smile. Special Offer for Our Fans! Save on Treatment! Want to learn more about our current promotions? Contact our office for details. 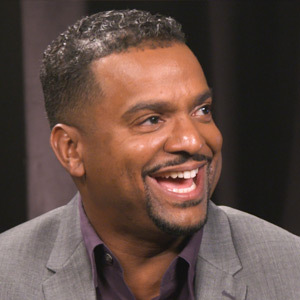 If there's anything that makes Alfonso Ribeiro happier than his long-running gig as host of America's Funniest Home Videos, it's the time he gets to spend with his family: his wife Angela, their two young sons, and Alfonso's teenaged daughter. As the proud dad told Dear Doctor–Dentistry & Oral Health magazine, "The best part of being a father is the smiles and the warmth you get from your children." Start off Right—Even before teeth emerge, gently wipe baby's gums with a clean, moist washcloth. When the first teeth appear, brush them with a tiny dab of fluoride on a soft-bristled toothbrush. Schedule an age-one dental visit for a complete evaluation, and to help your child get accustomed to the dental office. Teach Them Well—When they're first learning how to take care of their teeth, most kids need a lot of help. Be patient as you demonstrate the proper way to brush and floss…over and over again. When they're ready, let them try it themselves—but keep an eye on their progress, and offer help when it's needed. Watch What They Eat & Drink—Consuming foods high in sugar or starch may give kids momentary satisfaction…but these substances also feed the harmful bacteria that cause tooth decay. The same goes for sodas, juices and acidic drinks—the major sources of sugar in many children's diets. If you allow sugary snacks, limit them to around mealtimes—that gives the mouth a chance to recover its natural balance. Keep Up the Good Work—That means brushing twice a day and flossing at least once a day, every single day. If motivation is an issue, encourage your kids by letting them pick out a special brush, toothpaste or floss. You can also give stickers, or use a chart to show progress and provide a reward after a certain period of time. And don't forget to give them a good example to follow! Get Regular Dental Checkups—This applies to both kids and adults, but it's especially important during the years when they are rapidly growing! Timely treatment with sealants, topical fluoride applications or fillings can often help keep a small problem from turning into a major headache. Bringing your kids to the dental office early—and regularly—is the best way to set them up for a lifetime of good checkups…even if they're a little nervous at first. Speaking of his youngest child, Alfonso Ribeiro said "I think the first time he was really frightened, but then the dentist made him feel better—and so since then, going back, it's actually a nice experience." Our goal is to provide this experience for every patient.